This was posted 5 months 11 days ago, and might be an out-dated deal. 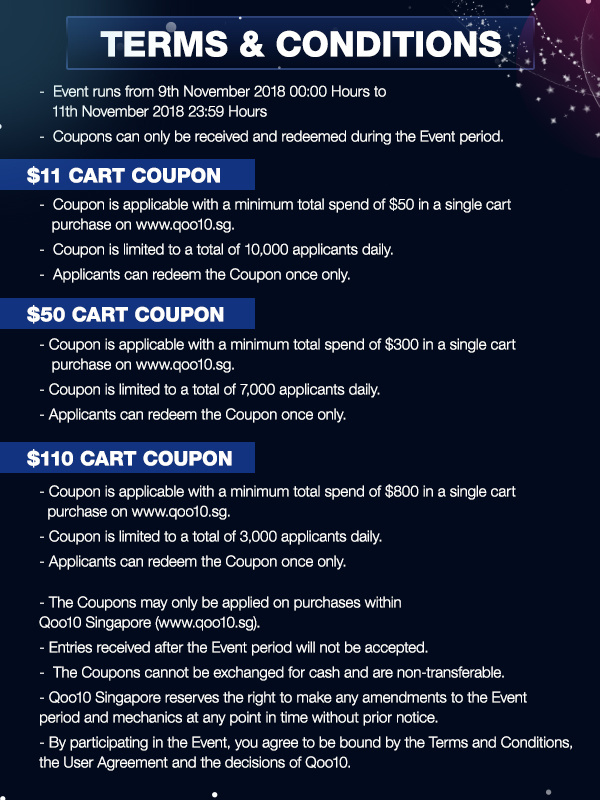 New Qoo10 coupons for the weekend and for Singles' Day - $11 off when you spend $50, $50 off when you spend $300 and $110 off when you spend $800. Limited to the first 10,000, 7,000 and 3,000 applicants respectively daily. New deals from Other category that have just been posted by our users.